well, it's that time again! wow! officially my most favourite month of the year has passed by. this month was full of many memories. nothing major, but special nonetheless. this month was full of changing leaves, beautiful indian summer nights, beautiful photo opportunities, gorgeous orange sunlight, my baby's 6 month birthday and our 6 year wedding anniversary. 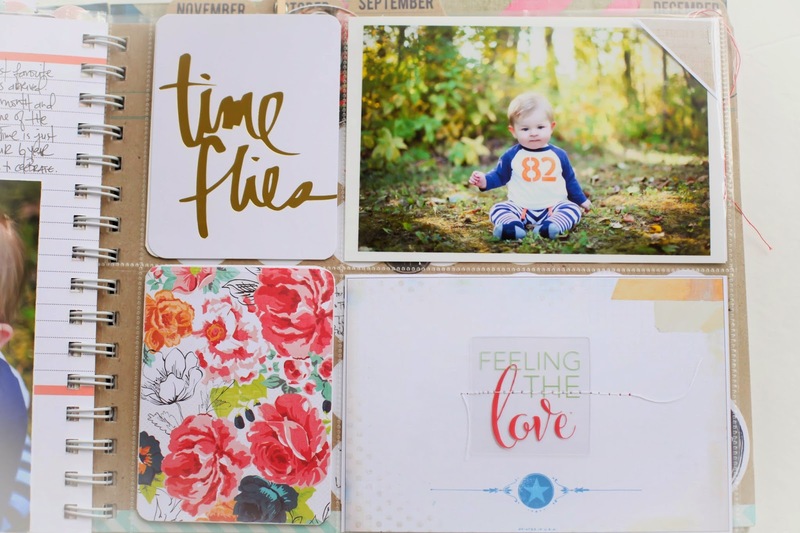 i had the best time this month using a lot of beautiful pieces from heidi swapp's newest collection 'september skies' in my album, as well as some pieces from the heidi swapp project life gold foil value kit. 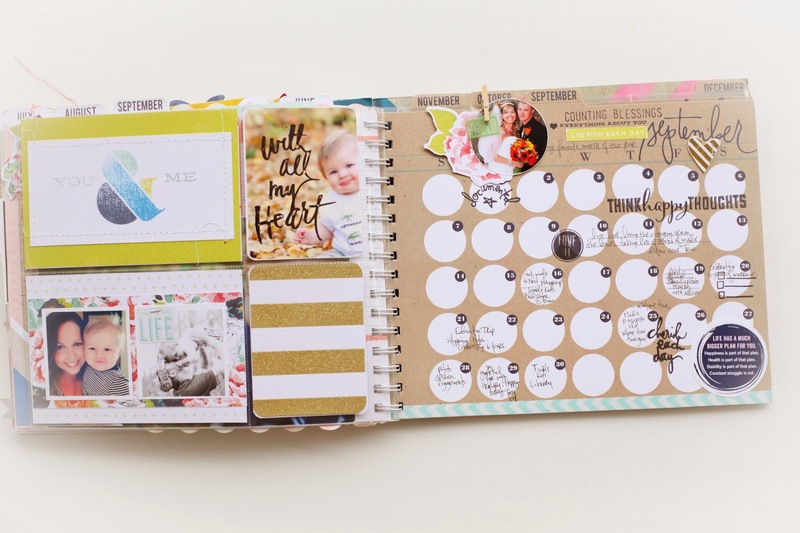 i also loved adding in the freebie september printables as well. those are always a favourite of mine and always look forward to what the next month will bring! it always feels like christmas to me! 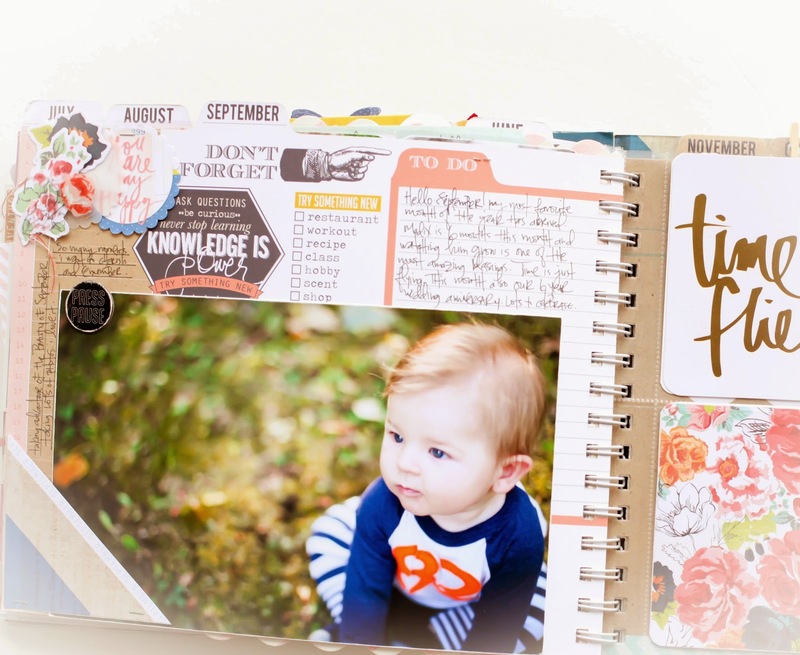 something new i tried this month was adding in a large photo to my planner. 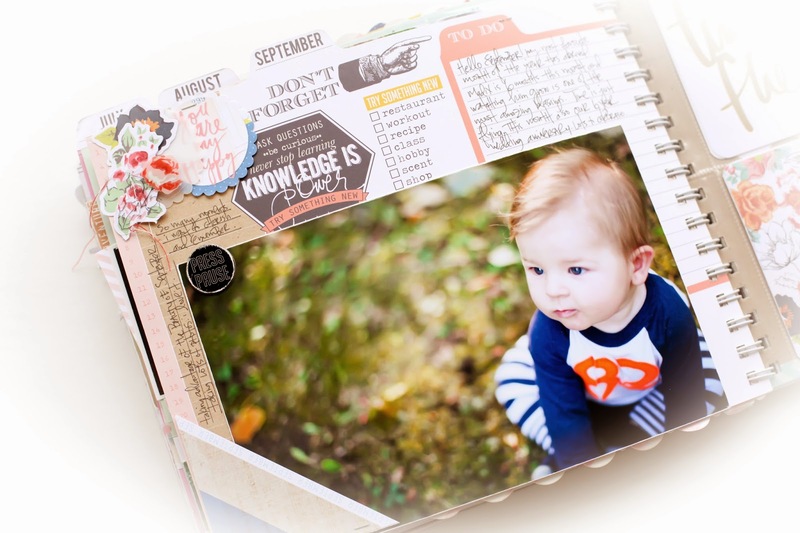 i also added in some journaling, and had fun layering some embellishment pieces. those september skies florals are probably one of my absolute favourites to work and play with. i also had a lot of fun adding some simple stitching into my planner as well. the acrylic ephemera pieces from the september skies collection are AH-MAZING. the "feeling the love" one is probably one of my absolute favourites. again, for my next pages i just had some fun adding in some favourites here. gold glitter cards, stitching, stamping on my photos. a lot of fun was had just playing with details this month. simple and cute. and achievable. nothing better right? cannot believe that we are already looking forward to october tomorrow! where has 2014 gone? i cannot believe we only have 3 more months to fill and this little album will be complete. i must say how PROUD i am of myself for continuing to document and fill up this little baby all year. this will definitely be one project that i have actually kept up with and followed through. i LOVE it so much. so many memories are inside of this little book. cannot wait to see the new printable set for october! so excited! My name is Lindsay Bateman and I have an obsession for all things paper. Photographs are my love language. Combining the two is my idea of heaven...and the perfect day all rolled into one. I am a wife of 7 years to an amazing man named Matthew, and in 2014 we welcomed our miracle baby boy, Madix into our world. Navigating this brand new journey of motherhood and documenting our life through photos and words is now what makes up my daily life, and i LOVE it. 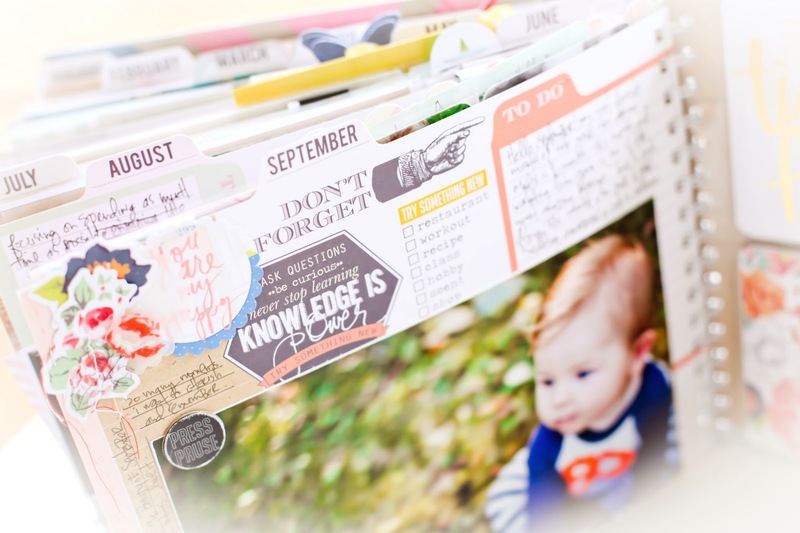 Scrapbooking is my solitude, my happy place and I truly would be lost without it. I am obsessed with instagram, all things black and white and anything with sparkles! 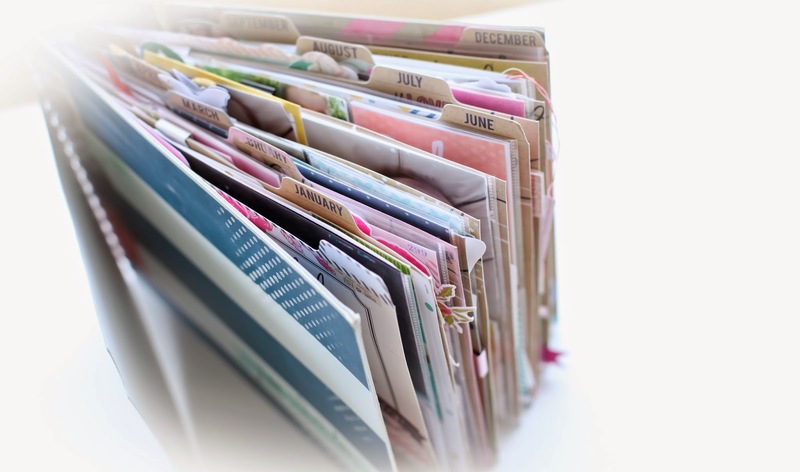 Scrapbooking is not just my hobby, it IS my life! © 2015 Simple Reflections of my Everyday. Felicity Template designed by Georgia Lou Studios All rights reserved.